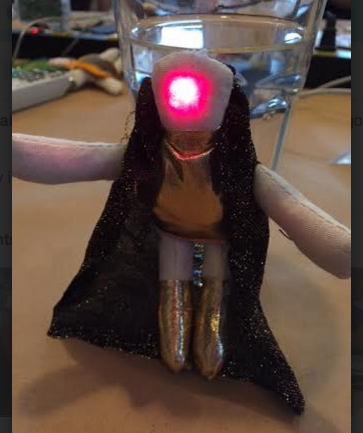 Soft Circuit Class Sunday 2/7 @NYCResistor #WearableWednesday « Adafruit Industries – Makers, hackers, artists, designers and engineers! Ever had the urge to create a voodoo doll of that one ex? This is your chance! 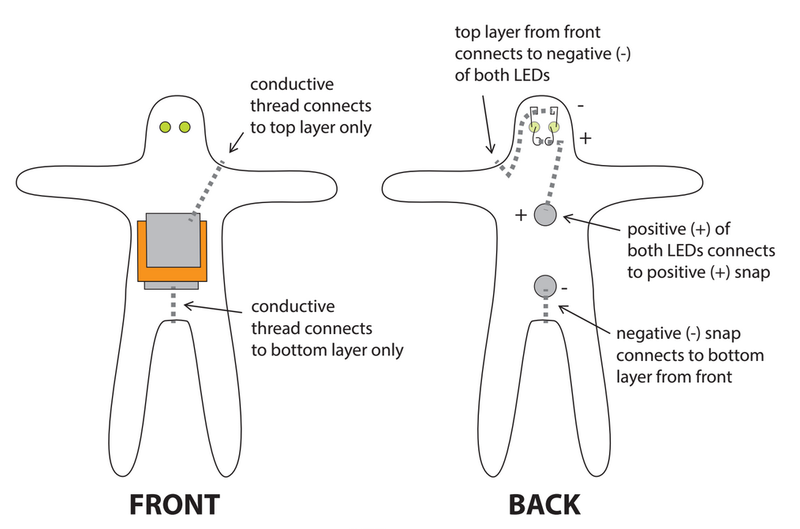 Right in time for the dreaded V-Day holiday, learn about conductive sewing thread and fabrics, and make a soft circuits doll that lights up when you stick a pin in it. Or if you aren’t feeling so revenge-y, we’ll happily walk you through any other project. Like perhaps a cool light-up cuff bracelet or other light-up fabric or felt project! We’ll provide everything you need—everyone gets a blank doll, leds, batteries, and various fabrics for stylin’ clothing. And we’ll walk you through harnessing the power of LED light in squishy form, step-by-step. Great class for those new to electronics! No sewing experience needed either!